My go-to drink to pour when my girlfriends come over is wine. I usually offer a red and a white wine option to please all palates. 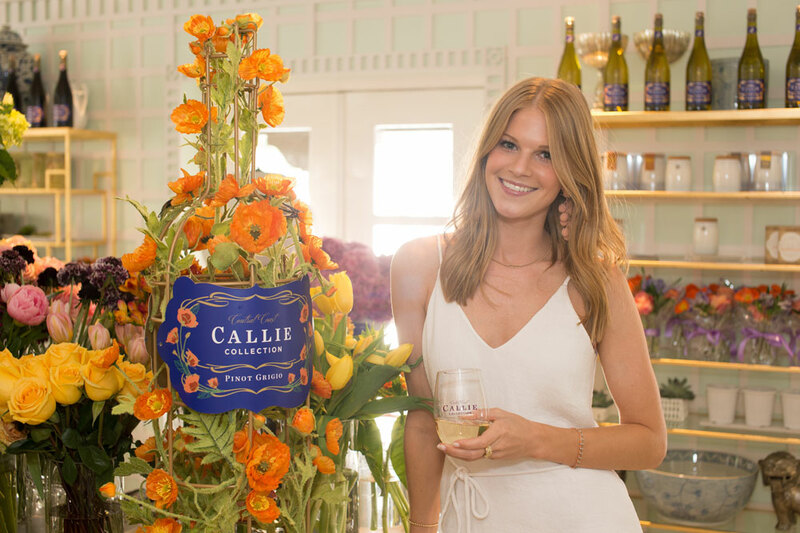 My new favorite wine, Callie Collection, offers a great selection including a Pinot Grigio, Chardonnay, and Fresh Red Blend, creating the perfect wine flight. 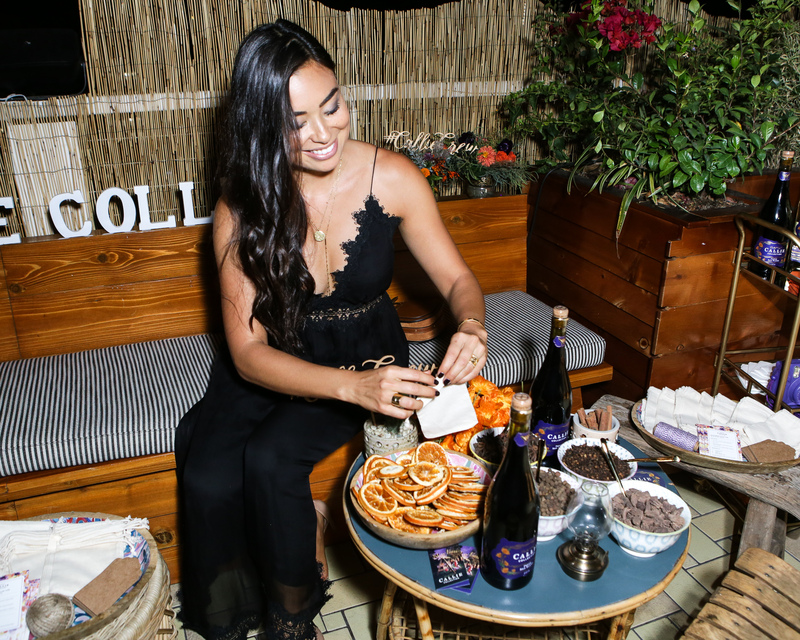 I like to serve a small slate alongside the wine flight and pair a cheese, honeycomb or nut with each wine. 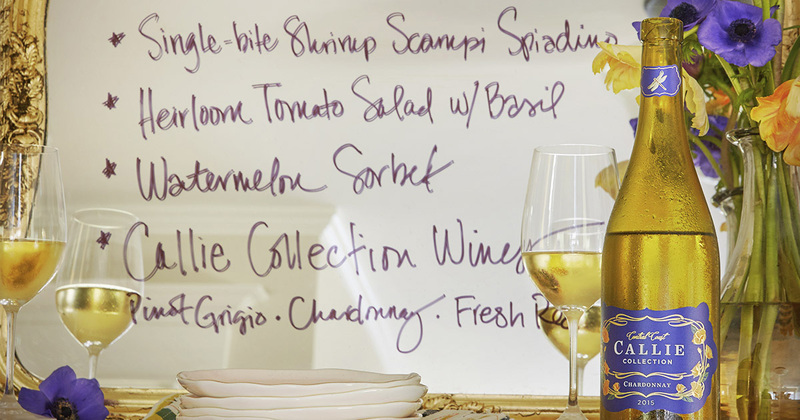 With the Pinot Grigio, try a manchego alongside marcona almonds. 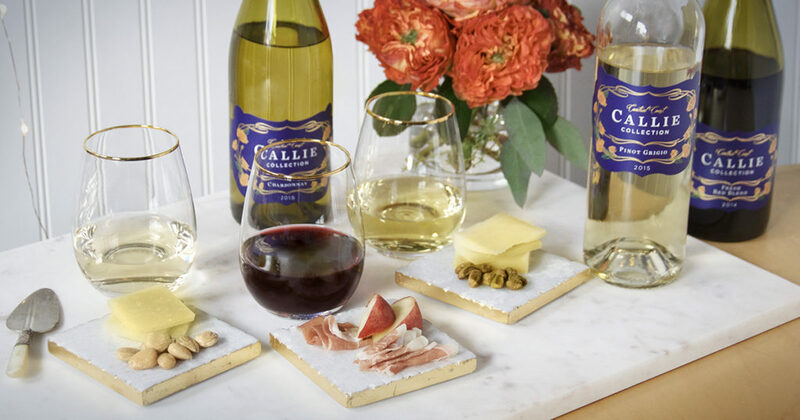 The Chardonnay pairs well with a nice Gruyère and pistachios, and the Fresh Red Blend is perfect with a few slices of prosciutto.